Tickets are now on sale for the upcoming Broadway revival of Lanford Wilson’s Burn This. Tony winner Michael Mayer will direct the highly anticipated new staging, set to begin previews on March 15, 2019 with an opening scheduled for April 16 at the Hudson Theatre. 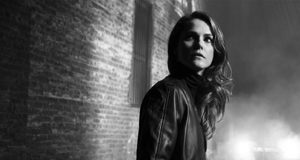 Keri Russell and Adam Driver will star alongside Brandon Uranowitz and David Furr. Burn This tells the story of four New Yorkers whose lives are uprooted by a young dancer’s accidental death. Set in downtown New York in the 1980s, the drama explores the spiritual and emotional isolation of Pale (Driver) and the modern dancer Anna (Russell), and their tempestuous relationship after they are brought together in the wake of a life-changing personal tragedy. 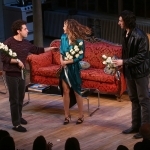 Burn This is scheduled to play a limited engagement through July 7. Tony nominees David Furr and Brandon Uranowitz will complete the cast of the Lanford Wilson drama, which opens April 16 at the Hudson Theatre. 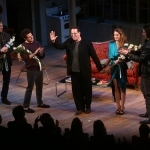 After months of circling Broadway for the right venue and dates, the upcoming revival of Lanford Wilson’s combustible drama Burn This has secured a home at the Hudson Theatre, where it was originally planned for early 2017. 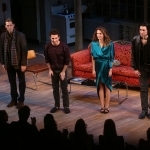 The four-character play will star previously announced leads Adam Driver and Keri Russell, with Tony nominees David Furr and Brandon Uranowitz completing the cast. 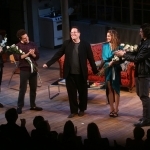 Michael Mayer will direct the new staging, which swoops in on a prime vacancy created at the Hudson by the Jan. 6 closing of another Mayer production, the Go-Go’s musical Head Over Heels. First seen in 1987 in a celebrated production that paired John Malkovich and Joan Allen, Burn This is a smoldering story of love and raw attraction set in gritty 1980s New York. It centers on two strangers brought together by an untimely death who forge an explosive connection. David Binder, who last teamed with director Mayer on the hit 2014 revival of Hedwig and the Angry Inch, is lead producer on the Wilson play, which has assembled a Tony-winning design team of Derek McLane (sets), Clint Ramos (costumes) and Natasha Katz (lighting). Previews start March 15 at the Hudson, with an official opening set for April 16. General ticket sales begin Dec. 2. 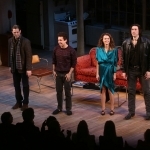 The play marks Driver’s return to Broadway for the first time since 2011, while Russell will make her Broadway debut, following six seasons on the critically adored FX series The Americans. Furr was last on Broadway in a 2016 revival of Noises Off, earning a Tony nomination for his role. 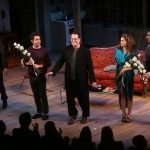 Uranowitz received Tony nominations in 2015 for An American in Paris and in 2017 for Falsettos. He is currently appearing in the musical The Band’s Visit. The Broadway revival of Burn This was originally announced to reopen the newly restored Hudson in early 2017, with Jake Gyllenhaal slated to play the role of coke-snorting restaurant manager Pale. Those plans fell apart due to Gyllenhaal’s scheduling conflicts, and the play got back on track late last year with Driver in the role. A new group of entertainment professionals in Motion Pictures, Television, Live Theatre, Radio and Recording have been selected to receive stars on the Hollywood Walk of Fame, it was announced on Tuesday, June 28, 2016 by the Walk of Fame Selection Committee of the Hollywood Chamber of Commerce. “The Walk of Fame Selection Committee is thrilled to announce our newest honorees to the Hollywood Walk of Fame. The Committee looked carefully at each nominee and we feel that we have selected a great group of talent that will appeal to the tastes of many fans around the world,” stated Di Bona. “As a Walk of Famer myself, I know these honorees will look back at the day of their ceremony and remember it with fond memories shared with family and friends, and of course, the fans. We look forward to their big day as the Walk of Fame Class of 2017 become part of Hollywood history on this famous Walk,” he added. Dates have not been scheduled for these star ceremonies. Recipients have two years to schedule star ceremonies from the date of selection before they expire. Upcoming star ceremonies are normally announced ten days prior to dedication on the official website www.walkoffame.com. Keri has been nominated for Best actress in a drama series. The fifth annual awards will be broadcast live on A&E from the Beverly Hilton Hotel on May 31 at 8 p.m. ET. Congratulations to Keri for winning Best Actress in a Drama Series! Keri Russell and Mahershala Ali, who plays Remy Danton on Netflix’s House of Cards, have nabbed a key roles in The Free State of Jones, the Matthew McConaughey historical drama being directed by Gary Ross. Robert Simonds’ newly launched film and television studio STX Entertainment is co-financing the project and will distribute. Route One/ Union Investment Partners and Vendian Entertainment are co-financing, with IM Global overseeing international distribution. The film is currently in pre-production in Louisiana. McConaughey is portraying Newton Knight, a soldier for the Confederacy during the Civil War who became disillusioned with the South’s cause, fled the battlefield, rallied supporters, and declared a safe haven in Jones County, an area of southeastern Mississippi in opposition to the Confederacy. Gugu Mbatha-Raw is already on board set as a slave who became Knight’s common-law wife. Russell will play will Knight’s wife who leaves him. When she sees him next, he is married to a slave. Ali will play a runaway slave whom Knight treats as an equal and who tries to rally black people to register for voting. Ali, repped by WME, is also inhabiting the character of Boggs in two parts of The Hunger Games: Mockingjay. Russell is genereating praise for her TV work on The Americans and last appeared on the big-screen with Dawn of the Planet of the Apes. She is also repped by WME.